How about something out of the ordinary to add to your holiday table? 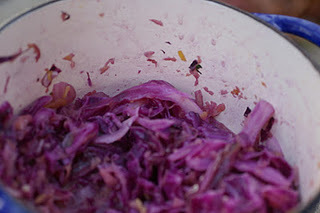 It seems that almost all of my cookbooks have at least one recipe for cabbage in it. 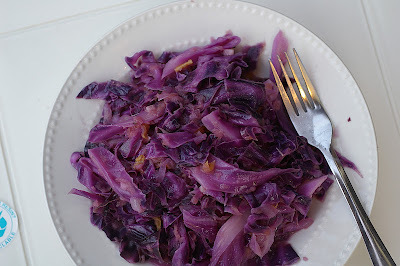 Growing up in a Irish American family, we had a lot of cabbage dishes. Mostly corned beef cabbage and potatoes, or stuffed cabbage. My mom never used red cabbage. 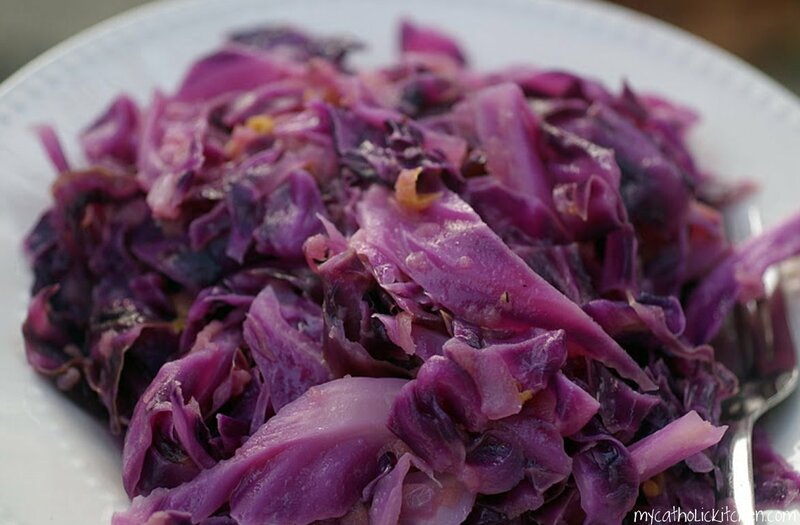 This colorful cabbage dish, with its citrus tangerines is a fabulous side dish for any occasion. The wonderful thing is that this is one of those recipes that tastes even better the next day. 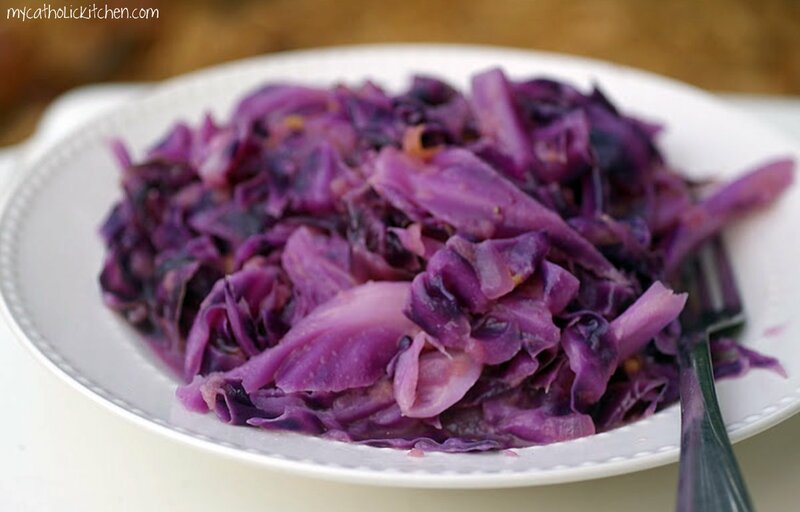 You can also interchange with the green cabbage if needed. In a deep large pot heat olive oil and butter. Add onions and cook until they begin to soften. 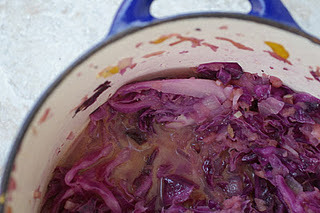 Add cabbage salt and pepper cook for two more minutes. Add stock, soy sauce, vinegar, tangerine and bay leaf. Reduce heat to medium low and allow to cook 12-15 minutes until tender crisp. What a festive looking dish. I happen to love cabbage but I am the only fan in the household. Hope you had a great holiday! Just found your blog via SRC and love it! Your recipes look so yummy and I can’t wait to try. This looks absolutely delicious! 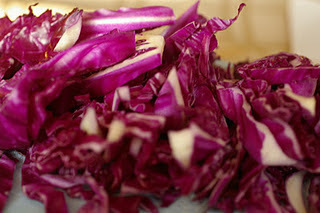 I love cabbage, especially the pretty purple cabbage. This looks so healthy and delicious…which is exactly the kind of meal I need after the holidays!